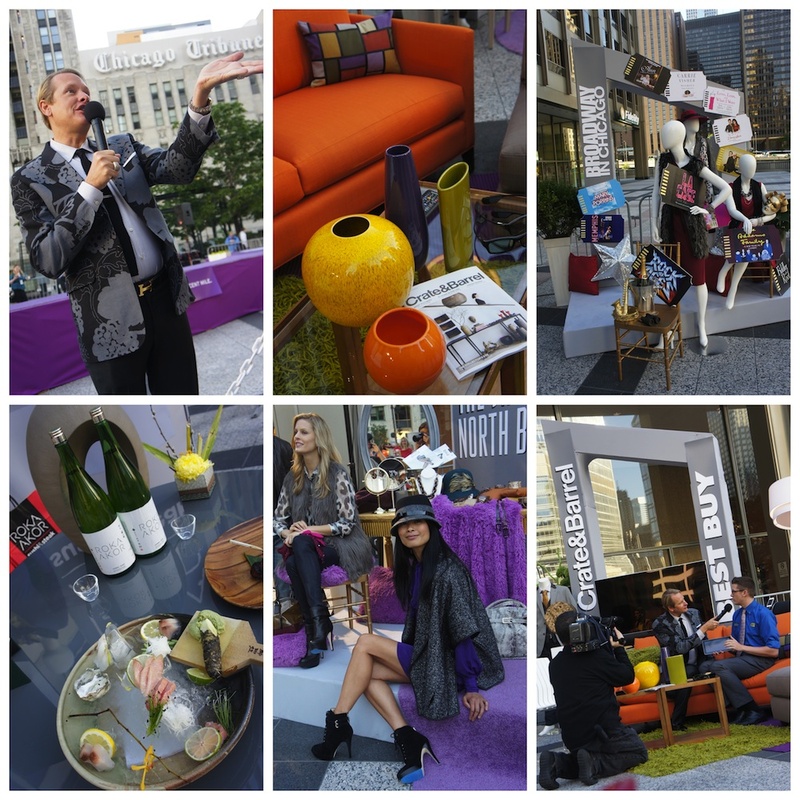 Last Friday, the Magnificent Mile’s Shopping Festival, In-Fashion, was set into motion, at the literal crack of dawn, by Erica Strama (V.P. of In-Fashion and Sr. Marketing Manager for the Shops at North Bridge) and celebrity stylist Carson Kressley. 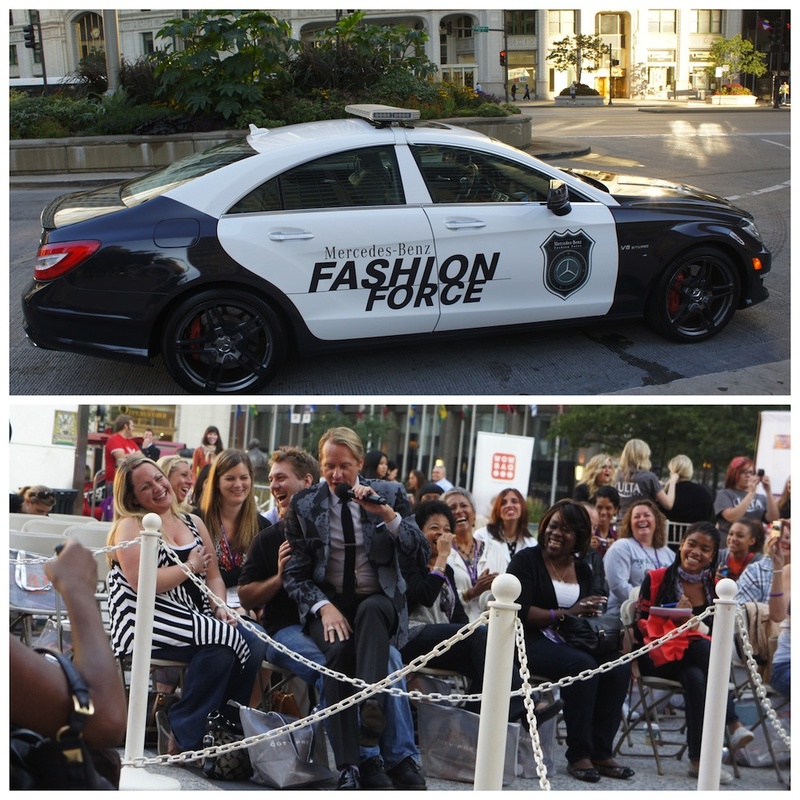 The early morning media event consisted of a mini runway show, makeup application by Ulta and vignettes showcasing the best of what the Magnificent Mile has to offer in the areas of fashion, home decor, electronics, cuisine and theater. Erica kicked off the event by informing everyone about the numerous In-Fashion events and incentives. Carson, who arrived in the official In-Fashion “Fashion Force” Mercedes Benz, kept the early morning party going with his humor and vivacious personality. Carson offered up Step and Repeat tips (“give them face and drama”) as well as insight on a highly overlooked fashion topic, menswear (“educate yourself, subscribe to GQ, try to replicate the look of someone you admire”). He also led a congo line down the runway for a bit of NBC5 Dance Friday fun. Each vignette provided their respective take on what is “hot” this season. The Shops at North Bridge showcased outerwear trends like faux fur and capes for women and well-fitted leather jackets for men. Best Buy provided the latest in technology (tablets, wireless home audio and 3D televisions with internet capabilities) while Crate and Barrel demonstrated how the color blocking trend in fashion translates to home decor. Roka Akor displayed a table setting so delectable it was easy to see why they were recently voted as one of the hottest Chicago restaurants by Chicago Magazine. Broadway in Chicago reminded us that after all of the Magnificent Mile shopping and eating, going to the theater is the perfect way to round off the day. The kickoff event armed everyone with the necessary information, and attitude, for enjoying every aspect of In-Fashion. Immediately afterwards, I headed to Nordstrom in the Shops at North Bridge to get my hands on the cape worn by one of the models. If that’s not a sign of the success of this event, I don’t know what is! With one week left, you still have plenty of time to enjoy In-Fashion (click HERE for all of the details). Now, get out there and enjoy yourself! This entry was posted in Dining, Shopping, Theater and tagged Dining, Magnificent Mile, theatre. Bookmark the permalink.